Connecting brands with outdoor and adventure travel influencers. How did you heard about GF? GRAVITYFED™ is the influencer marketing platform for the outdoors. 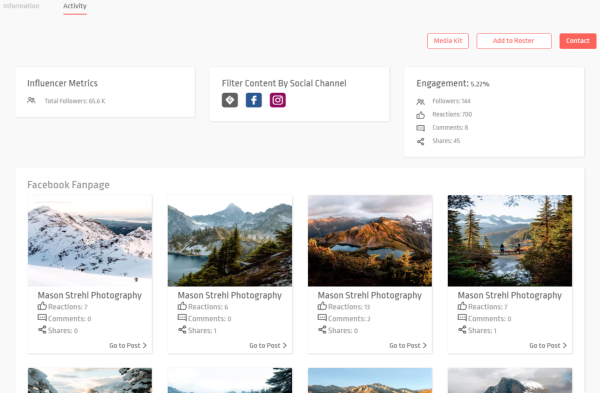 Our curated list of niche outdoor and adventure travel influencers are ready to work with you on product reviews, sponsored posts, social mentions, brand ambassadorships, affiliate partnerships, and more. GravityFed™ is the only influencer marketing platform specifically focused on the outdoor and adventure travel verticals. Our influencer base is comprised solely of outdoor and adventure travel enthusiast with audiences that are engaged and as passionate as they are. Don't waste valuable time sifting through irrelevant influencers on expensive platforms. We offer FREE unlimited access to influencers to save you time and money while providing you with highly targeted influencer partnership opportunities. Our influencer discovery tools allow brands to quickly refine influencer searches by several filtering options. View the type of content influencers are routinely publishing and how their audience is engaging with it. 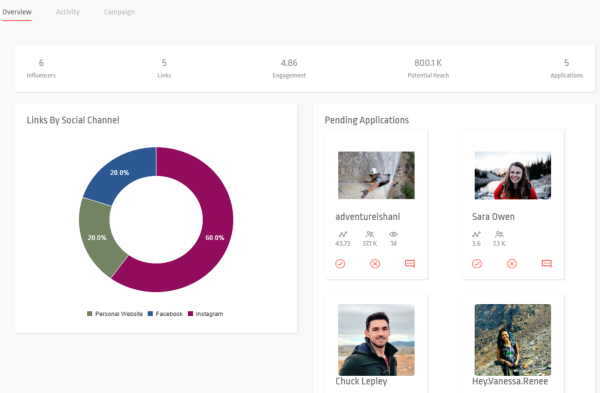 Create and manage specific campaigns to meet influencer partnership needs & view campaign metrics. Develop rosters to manage influencers & ambassadors and track their campaign activity and success. Let our experienced team at GravityFed™ manage your next influencer marketing campaign. Unlimited access to influencer profiles and contact information. 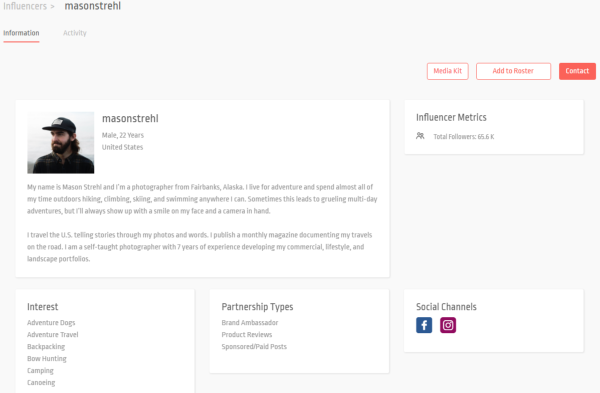 Review influencers based on specific interests & partnerships types. Refine discovery with advanced filtering tools. View number of followers, engagement metrics, and blog analytics. Gain quick insight on social and blog content being shared regularly. Create public or private campaigns based on influencer objectives. Define influencer requirements, tasks, and compensation. 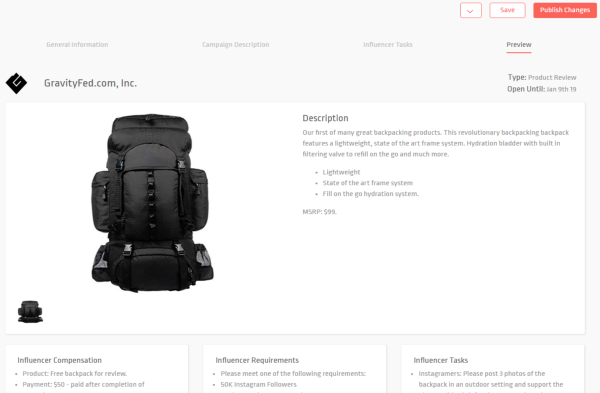 View/accept/deny influencers as they apply to your campaigns. Built in Messaging streamlines communications during the campaign. View key campaign metrics including potential reach & engagement. 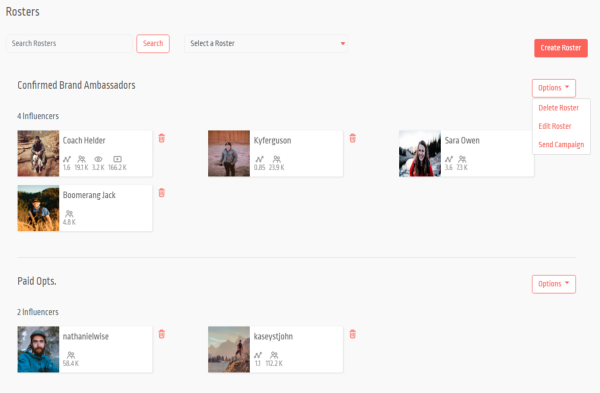 Add influencers on GravityFed™ to any roster you have created. Invite any roster to participate in any campaign. Influencers can post full length or snippets of gear reviews. 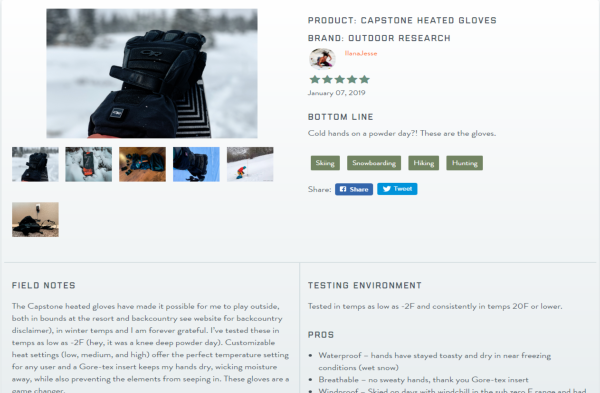 Gear review content is promoted to our readership & search engines. Increased exposure and engagement in the outdoor community. Create A FREE Brand Account Today!